Mobile giant Everything Everywhere have been told to change it's mobile coverage checker by the Advertising Standards Agency when a customer lodged a complaint. The customer was led to beleiev that they would receive excellent service in their area. Advertising Standards said that it must be made clear to customers that the coverage checker is only a guide. The ruling is likely to affect other mobile operators that use similar coverage maps. 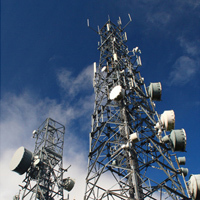 Coverage can vary widely in the same area and other factors such as type of buildings and number of objects causing signal strength to weaken. The ASA felt the advert was misleading despite the Everything Everywhere coverage map containing as statement which says "only as a guide and not a guarantee of service availability in a particular location". A statement from EE said "The Coverage Checker offers a prediction of our network coverage across the UK. In this instance, we deemed coverage to be Excellent in the postcode as confirmed by testing that found over 98% of the postcode had an excellent signal. We take on board the ASA's ruling and will amend the disclaimer language as necessary"
Service providers generally provide a cooling off period so that customers can cancel their contract should they mobile service not turn out to be as expected. EE allow 14 days, whereas O2 only allow 7 days. With the rollout of high speed 4G services operators are aiming to reach 98% of the UK population in the next 4 years.